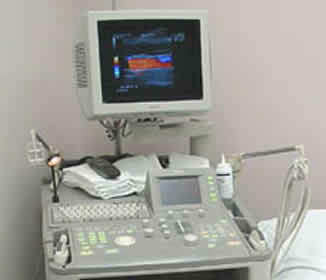 Sonography Associates Degree Programs - Which Is The Best Course? For many high-school students, a sonography associates degree is the ideal qualification to take to become a fully trained sonographer or ultrasound technician. More importantly, it will also allow you to register with the American Registry for Diagnostic Medical Sonography (or ARDMS), which is essential if you want to pursue to a log-term career as a sonographer. Sonography is a rapidly expanding field of medicine. Diagnostic medical sonographers (or ultrasound technicians) are specialists who use highly advanced ultrasound machines to help diagnose and treat a broad spectrum of life-threatening conditions and illnesses. This is achieved using high pitch soundwaves to build up visual images of bodily structures in real time. Ultrasound is used in the detection of many different conditions, which typically can include strokes, cancer, heart problems, gynecology, nerve damage, tissue injuries and monitoring fetal development. The primary reason for the popularity of ultrasonography is that it’s the only form of medical imaging which doesn’t rely on using dangerous radiation for the imaging process. As well as being very safe, sonography is also inexpensive, fast and can be carried out almost anywhere. How Can You Become A Sonographer? There are a variety of different ways to become qualified as a sonographer, ranging from intensive certificate courses to more advanced sonography associates degree level training. Some students even opt for bachelors degree programs. All these courses are readily available from local sonography schools, colleges and universities spread across the country. Admission prerequisites for all ultrasound courses are basically the same. The only real difference between them is the level of tuition and the duration of the coursework. Certificate courses are run over 9 to 18 months, and are the shortest training route. Obtaining a sonography associates degree takes slightly longer at 24 months, followed by bachelors degrees taking 48 months. To help you make an informed choice of the most appropriate study course, here are the relative merits to taking sonography associates degree level training. Availability. Within each state, there are plenty of community colleges and universities geared up to deliver associates degrees. This means that you should find a reasonable selection of training institutions within easy traveling distance. Short Duration. A sonography associates degree takes just two years to complete, so you’ll be able to get a job much faster than if you had instead taken a four year bachelor’s program. Lower Cost. As an associate’s degree can be earned in half the time of a bachelors degree, course fees are substantially reduced. Practical Focus. Within the sonography associates degree curriculum, there is a strong emphasis on practical experience. So you’ll become really familiar using ultrasound equipment in an actual clinical setting from very early on. Transferability. Having completed their sonography associates degree, students have the freedom to later decide to take additional sonography classes to upgrade to a full bachelors degree. Does A Sonography Associates Degree Have Any Disadvantages? Limited Places. In many areas, sonography associates degree education is in high demand and places do tend to fill up quickly. This means it’s crucial to contact sonography schools very early on. It’s Not The Shortest Course. Some people are keen to find jobs and start earning as soon as possible. If this sounds like you, a certificate course can be finished in approximately half the time a sonography associates degree takes. When looking at enrolling on any sonography associates degree, it’s essential that the course has been accredited by CAAHEP. CAAHEP is the Commission on Accreditation of Allied Health Education Programs, and regulates all ultrasound technician and sonographer programs. Don’t be tempted to use unaccredited training, as it’s unlikely to be recognized professionally when you apply for ARDMS membership. For your convenience, you can search all CAAHEP accredited sonographer schools by state to find approved sonography and ultrasound technicians training in your local area. Then, short-list your nearest schools offering accredited sonography associates degree classes and contact them to request a course information pack. By taking the initiative to research and compare your training alternatives, you’ll end up with a sonography associates degree you can be rightly proud of.